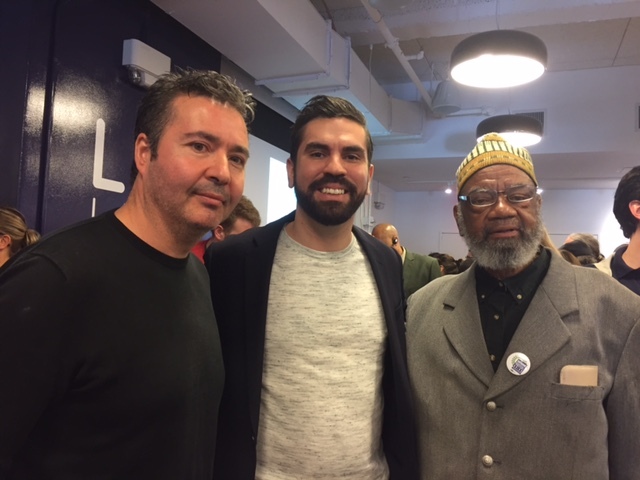 On May 15, freelance workers celebrated the launch of the new Freelance Isn’t Free law at the Westinghouse Building in Manhattan. The Freelancers Union, with the support of the National Writers Union, Make the Road NY, and other unions and freelance organizations, helped push the bill through the City Council to a 51-0 vote last November with a combination of demonstrations, petitions, lobbying and social media. The new law, the first of its kind in the United States, makes non-payment to freelancers a crime, and those found guilty can face having to pay double damages, attorney’s fees, and civil penalties. Repeat offenders can be prosecuted in civil action by the Corporation Counsel to recover a maximum $25,000 punishment. The New York City Department of Consumer Affairs will oversee enforcement of the new law, and Commissioner Lorelei Salas promised to vigorously investigate freelancer complaints. She may have her hands full as freelancers constitute one-third of the workforce. Last year, 70% had late pay or non-payment issues, costing freelancers an average of $6,000 each. City Councilman Brad Lander (District 39, Bklyn), who was the lead sponsor of the law, said that he intends to push his colleagues to support a bill to protect freelancers’ human rights which would make it illegal to discriminate against freelancers. He called for a push to establish laws in every state to protect America’s 55 million independent workers.